So we didn’t get to see the entire Muppets Movie when we were in L.A., but we did get to see some clips of the movie, and now 3 new clips are available for everyone’s viewing pleasure. 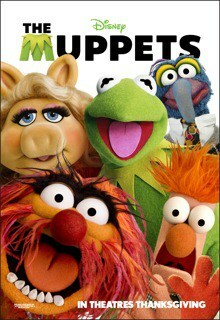 Check them out below, and don’t forget that Muppets Movie will be in theatres everywhere November 23rd, 2011. I’ll be bringing you a full movie review just as soon as I get the opportunity to preview the movie! I don’t know about you, but I’m getting more and more excited as release date draws closer!